With its distinctive combination of subject areas, this accounting and management degree will equip you with a breadth of skills and knowledge to help you further your career in a wide range of sectors. 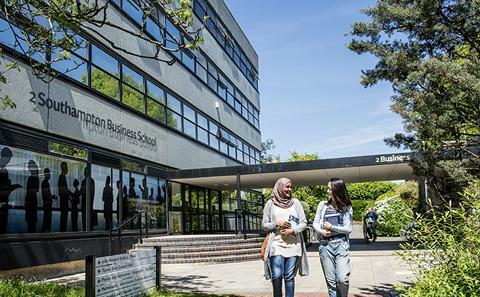 Offering a blend of subjects not found in many UK masters degrees, MSc Accounting and Management bridges the gap between general management and specialist accounting courses. This accounting and management degree is open to students from a range of academic or professional backgrounds – no prior study in accounting is required. Taught by research-active academics, you’ll gain a solid foundation in management and accounting concepts, as well as valuable technical and transferable skills. You’ll graduate with a wide choice of career options – you could decide to continue your accountancy training by taking professional qualifications, work in a bank or financial institution, or apply your skills in a management role in other sectors of business or industry. While many of our students join MSc Accounting and Management straight after their undergraduate degree, a proportion have been working for some years and are looking to progress within their chosen sector or explore possible new career options. The accounting and management degree is a full-time, 12-month course. During the first nine months of the course you’ll take compulsory and optional modules. The final three months will be spent on your dissertation. Compulsory modules cover the core concepts of accounting and management. You’ll study the fundamentals of financial accounting and management accounting, as well as management-related topics such as managing in a global context, strategic management and marketing in the digital age. You’ll consolidate your knowledge of both accounting and management during the Accounting for Corporate Performance module, which looks at the interaction between accounting processes and decision making in business. You’ll also take a compulsory module to learn about research methods, preparing you for your dissertation project. By choosing two optional modules you can tailor the course to suit your career ambitions. For example, you could choose to learn more about operations management or project management, gain a deeper understanding of strategic marketing or risk taking and decision making, or further your knowledge of corporate finance. Programme leader Dr Pingli Li research interests include management control systems and organizational change, the institutionalization of management accounting practices, the use of management control techniques in Chinese State-owned Enterprises and the public sector, the roles of independent directors in listed companies, and environmental performance and corporate governance. Professor Johnnie Johnson, who leads the optional Risk Taking and Decision Making module, is an eminent researcher in the area of behaviour in speculative markets. He uses his expertise to advise organisations operating in speculative financial markets and has delivered related executive development courses to financial organisations including the Bank of China. Dr Alaa Zalata, who teaches Fundamentals of Financial Accounting, conducts research into applications of financial accounting with a focus on the value of financial and non-financial information, earnings management, and corporate governance. Dr Alan Rae has experience of marketing and management in the engineering, IT and business support sectors, and has started up four businesses. He brings his experience to the Marketing in the Digital Age module. You’ll also be able to demonstrate valuable transferable skills such as team working, communication and problem solving skills, time management and independent working. 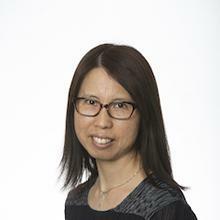 Pingli Li is an Associate Professor in Accounting and currently teaches on the Management Accounting modules. Find out about equivalent entry requirements and qualifications for your country. Acceptable subjects: Essay based subjects in business/economics preferred. Excluded subjects: English translation, art/performing art, vocational studies. Professional qualifications such as ACA/ACCA/CIMA qualifications can compensate for unrelated degree subject. Work experience in accounting is not a requirement but can compensate for degree subject/grades. The University’s Admissions Policy, available at www.southampton.ac.uk/admissions_policy, applies equally to all programmes of study. These are the typical entry criteria to be used for selecting candidates for admission. The University’s approved equivalencies for the requirements listed will also be acceptable. The entry criteria for our programmes are reviewed annually by the Faculty. Those stated were correct as of July 2015. Applicants should refer to their specific offer conditions on their offer letter. If English is not your first language, you will need to demonstrate that you have reached a satisfactory standard in an approved English language test. For more information visit a list of equivalent English language tests that are also accepted. If you have professional experience, or credit through prior learning at another institution, you may be eligible to use this experience against some of the programme requirements for period of study. You will need to present evidence that you have met the learning outcomes of the programme. Read the University’s Recognition of Prior Learning Policy. Within your Option module selection you must choose either MANG6322 Foundations of Research in Accounting and Finance or MANG6129 Qualitative & Quantitative Research (Optional Core modules) totalling 15 CATS/7.5 ECTS, and Option modules totalling 30 CATS/15 ECTS. All Option modules are offered subject to availability and timetabling constraints. MANG6095 Dissertation supervision starts in Semester 2 and should be submitted in September. Stationery You will be expected to provide your own day-to-day stationery items (eg pens, pencils, notebooks, etc). Any specialist stationery items will be specified under the Additional Costs tab of the relevant module profile. Books Where a module specifies core texts these should generally be available on the reserve list in the library. However, due to demand, students may prefer to buy their own copies. These can be purchased from any source. Some modules suggest reading texts as optional background reading. The library may hold copies of such texts, or alternatively you may wish to purchase your own copies. Although not essential reading, you may benefit from the additional reading materials for the module. Travel Some modules may include optional visits. You will normally be expected to cover the cost of travel and admission, unless otherwise specified in the module profile. Other Candidates may use calculators in the examination room only as specified by the University and as permitted by the rubric of individual examination papers. The University approved models are Casio FX-570 and Casio FX-85GT Plus. These may be purchased from any source and no longer need to carry the University logo. Typical career destinations for our graduates include banks, financial institutions and accounting or consultancy firms. Their career path may also depend on their professional or academic background – those from an engineering background, for example, may use their management and accounting knowledge to progress to higher-level management roles within engineering. You may choose to continue your accountancy studies by taking further professional qualifications; on graduation you may be able to apply for accounting qualification exemptions. On this accounting and management degree you’ll learn about core theories and concepts in lectures, illustrated by relevant examples from business, then apply your knowledge through practice-based exercises in small-group seminars. Our academics enrich your learning by sharing insights from their research and professional experience. They use interactive teaching methods such as group work, mini-debates and student-led presentations. They also draw on materials such as videos, news articles and real-world business case studies to bring your learning to life. For most modules you’ll spend four hours per week in lectures and seminars, with the remaining time devoted to private study. You’ll study four or five modules per semester. Assessment methods vary between modules, but will include group and individual coursework, presentations, exams and multiple-choice tests. We have strong links with professional accounting bodies – for example, Senior Teaching Fellow Richard Cartwright is President of the Southern Society of Chartered Accountants – and we hold regular events at which professional bodies and companies share insights into current accounting and management issues. You’ll have access to a range of support services within Southampton Business School and the wider University; your personal academic tutor will be able to advise on course-related matters or direct you to other types of support. The school has an open, informal culture and academics will take time to check your progress and respond to any questions or issues you may have.